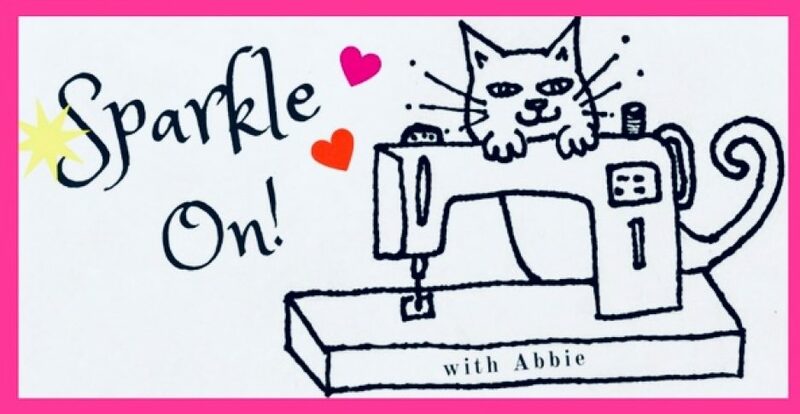 House on the Hill | Sparkle On! Although not a terribly original concept, I did design and draw all the appliqué pieces myself. I intended to free motion quilt the orange fabric with some eerie squiggles but as I straight stitched outlined the appliqués, I decided to just keep on going with no plan just the flow! I really like how it turned out. Here is the back view. This fabric from Joann’s touts that the eyes glow in the dark, and they do! Makes you feel like a kid again when you turn out the lights to test it out. < Previous I Wish You a Merry QAL Block #9 Release! Next > I Wish You a Merry QAL Block #10 Release! I love House on the Hill! That is so cool you made the Vlad mug rug last year with GB’s pattern – that is such a cute patten! The backing fabric of the House on the Hill is awesome too! Oh and I like Paccie’s hat! Abbie — I love, love, love your house on the hill mug rug! Excellent job on the quilting too! This house on the hill is so cute! AND I think the back is just as nice as the front! Paccie is really styling in his cool knitted hat! What a cool mug rug! I have some glow in the dark owl pajamas…the kid in me just took over when I saw them at the store. You also knit? You are amazing! This is such a cute design and I love your quilting, it has such movement. Quilting is definitely my least favourite part of the whole process so I’m always on the lookout for successful examples. Love it! Thanks Sandra! Quilting is much easier for me when I don’t follow a pattern, sometimes it works and sometimes not! Pingback: Halloween Mug Rug | Sparkle On!